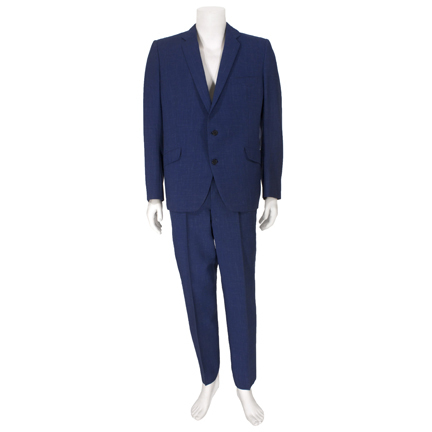 This two-piece suit was worn by the character “Jerome Littlefield” portrayed by legendary comedian Jerry Lewis in the classic 1964 motion picture “The Disorderly Orderly”. 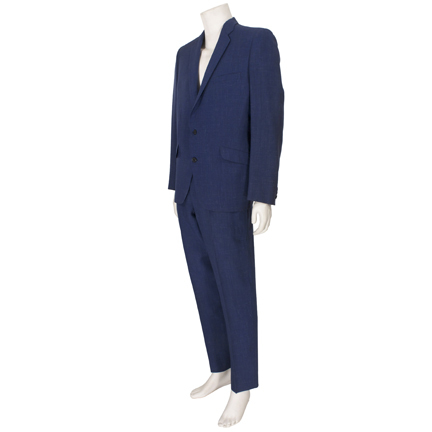 The suit was custom made for the actor by Sy Devore and consists of a medium blue-flecked wool jacket with flap pockets and matching pants with buckled waistband. 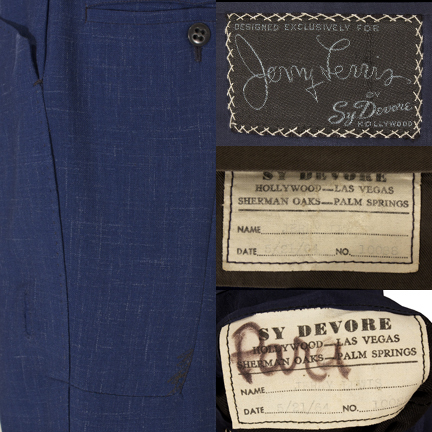 Both garments have the original Sy Devore tags sewn inside with the name “Jerry Lewis”, “5/21/64”, and No. 10088 typed. 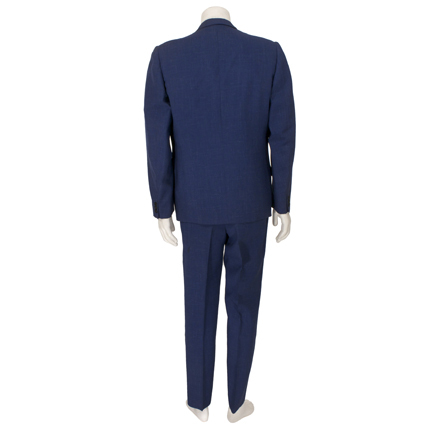 Sy Devore was known as the “Tailor to the Stars” before his death in 1966 and created custom garments for numerous celebrities, including Lewis’ longtime comedic partner Dean Martin and all the other members of the notorious “Rat Pack”. 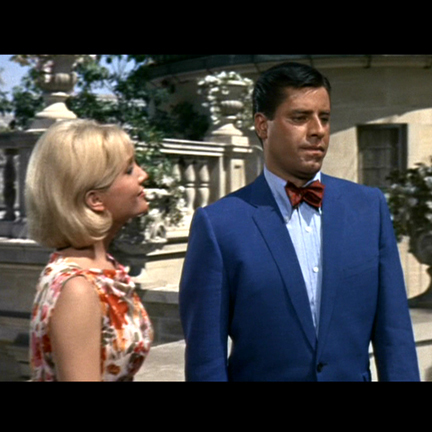 Mr. Lewis wore this suit in the action sequence near the end of the film when Jerome realizes he’s in love with “Julie Blair” (Karen Sharpe) and chases after her in an ambulance. 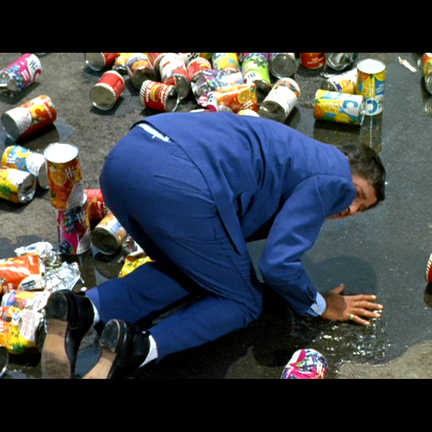 Jerome is finally re-united with his true love after several car accidents and the toppling of a massive canned good display in a super market parking lot. The pants have repair seams on the seat and additional minor hole repairs, and a small moth hole is visible near one of the pockets. 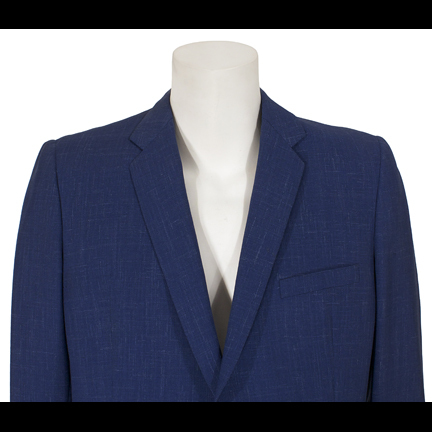 The jacket is in overall good condition with minor fading on the shoulders due to age. 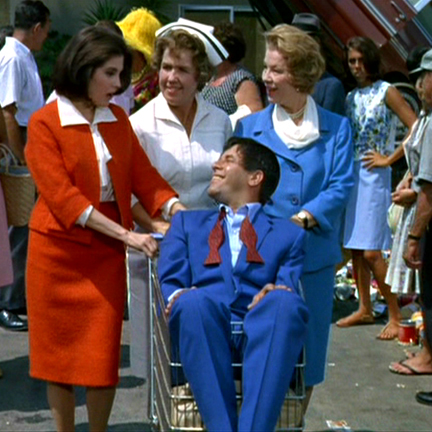 “The Disorderly Orderly” was one of Lewis’ best-loved comedies, and his unique slapstick humor earned him the unofficial title of “The King of Comedy”. 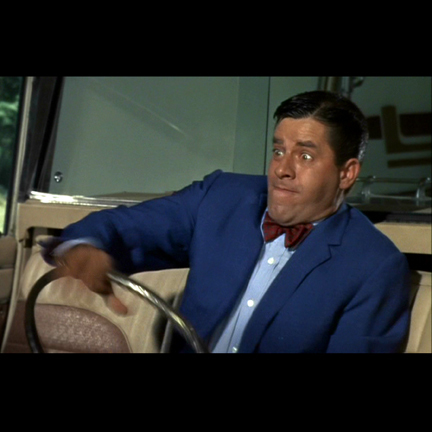 Mr. Lewis is universally recognized as one of America’s finest comedians and received the Jean Hersholt Humanitarian Award at the Oscars in 2009 for his charity work helping children afflicted with Muscular Dystrophy.